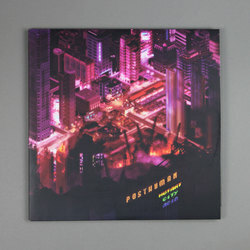 Posthuman - Mutant City Acid. Vinyl LP. Bleep. One of the hardest working producer duos out there drops their first LP in 8 years on Balkan Vinyl. Anyone familiar with the Posthuman flex will know what they’re getting themselves into with Mutant City Acid. 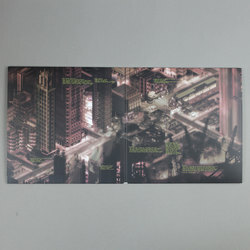 303s and 909s are front and centre here, and at this point, we suspect that Posthuman are able to bang out acid house masterpieces like ‘Nightride To New Reno’ and ‘Transit System Error’ in their sleep. 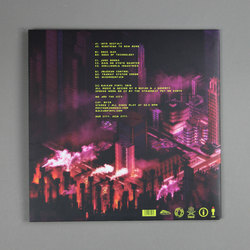 However, there is a distinct cyberpunk flavour to a lot of the tunes here that gives the LP a nice retro-futurist feel. 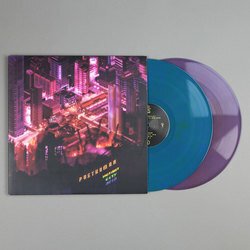 It also allows the pair to subtly expand their sonic horizons - the seasick techno sound of ‘Wishmountain’ and ‘Once Was’ is an interesting new addition, and ‘Raid On Kyoto Quarter’ sounds more like a sound grab from a Hellraiser movie than a track from one of the biggest names in acid.